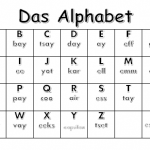 Currently viewing the tag: "Alphabet"
A simple handout for German alphabet pronunciation. 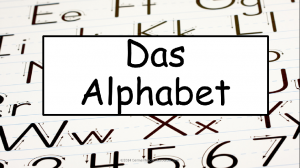 The A4 sheet includes two copies of the same information to be cut into two. 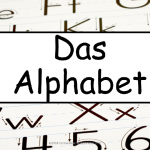 A PowerPoint to introduce the German alphabet and the sounds each letter makes, followed by some spelling and conversational exercises. 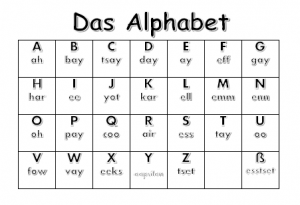 You will find a very useful audio tool to hear the letters pronounced by a native speaker here.